This Merlot bedroom featuring dresser, mirror, chest, night-stand and queen or king bed is a great look. Pieces can be purchased separately or as a group. Grandview Estates has a large selection of bedrooms at their Oil City location. 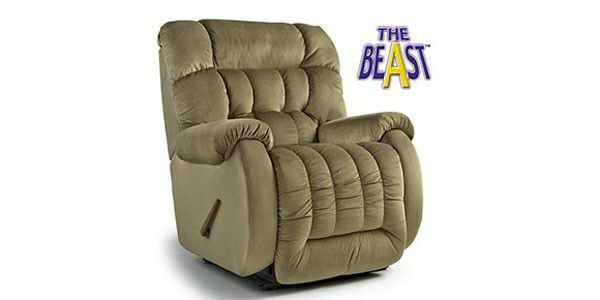 Grandview Estates has camo available on rocker-recliners, wall-hugger recliners, heat and massage options also, starting at just $599- PLUS! FREE local delivery! 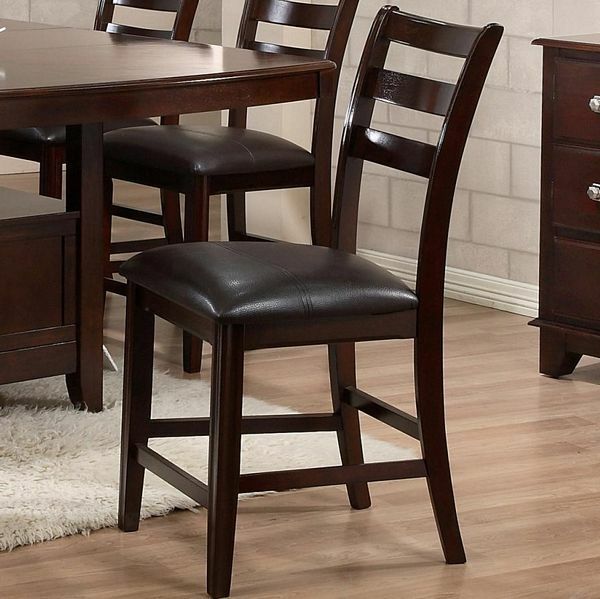 Grandview Estates carries counter height tables with stools in a variety of finishes. This bedroom is a gorgeous color of gray/beige. Made in the USA by Vaughan Bassett it features a triple dresser with mirror, 5 drawer chest, night stand, and a choice of 2 different beds in queen or king size. Come see this today. Relax on real leather in this fully reclining "U Shaped" conversation sofa. 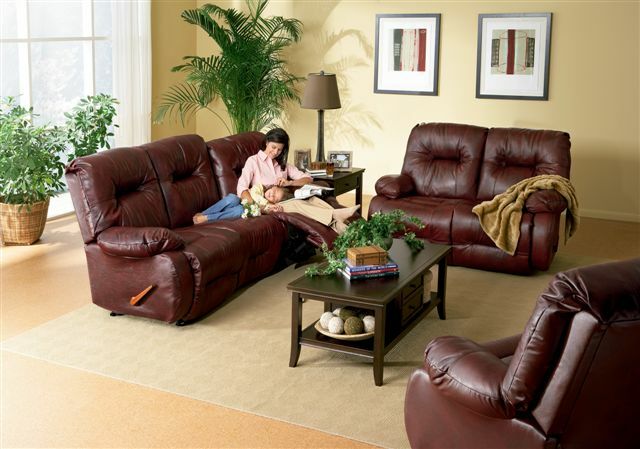 Grandview Estates has numerous reclining sofas in leather on display at our Oil City Location in a lot of great colors! Red is hot! 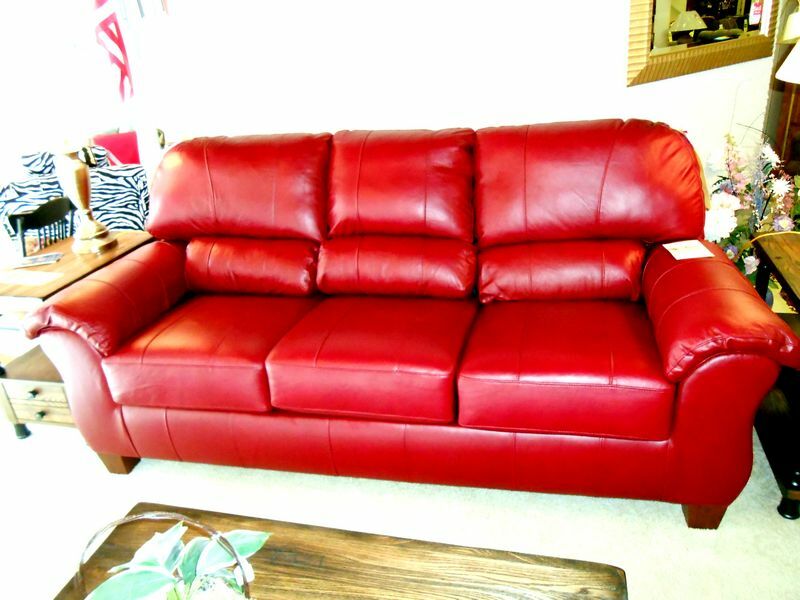 This leather match sofa makes a statment in any home. The comfort of real leather everywhere your body touches. Bonded leather back and sides. Matching loveseat, chair and foot ottoman are available. Free local delivery! 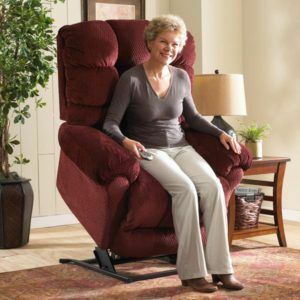 Grandview Estates has a great selection of electric lift recliners. Available in a multitude of colors, fabrics and leather, starting at just $599.00 PLUS! FREE local delivery! For the comfort you are looking for in an adjustable bed Grandview Estates has it. Extra-long Twin size, Full-size and King available. Free local delivery and setup. Call us today. Grandview Estates has a full selection of reclining sofas, available in a multitude of fabrics and colors starting at just $799.00 and up. 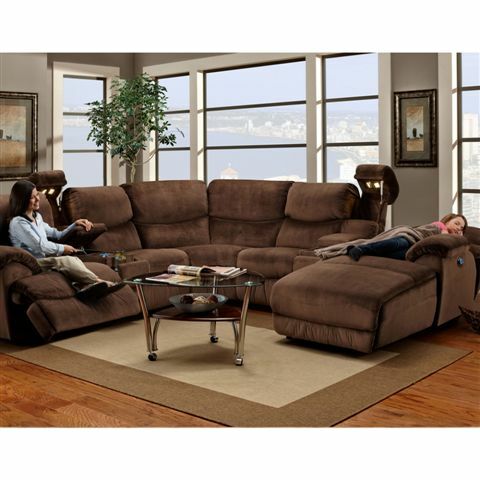 Matching reclining loveseats and wall-hugger or rocker-recliners also available. Free local delivery. Nothing down, and no interest for 6 months to qualified buyers. Amazing! The Shoe Chair. The size of an average chair, this shoe chair is a unique item for teenager rooms, for playing video games, a vanity chair, or just a conversation piece. Come and take a look today. 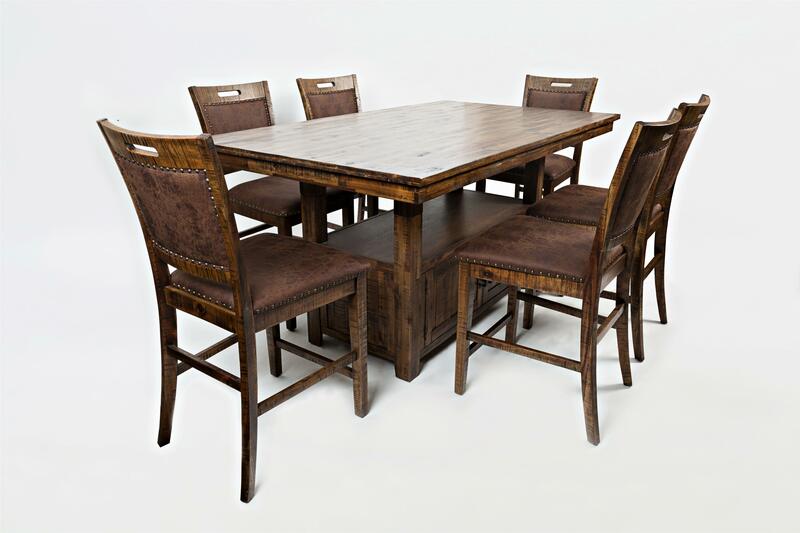 Grandview Estates carries a grand selection of tables and chairs in a variety of finishes, sizes, and styles; Drop-leaf tables, pedestal tables, counter height tables, small tables to large tables. Comfort you can count on with style that blends into almost any room. This sectional sofa has 2 recliners on the left-side facing end with a storage console with nickel cup holders on each side, and a power flat-down reclining chaise lounge. Durable chocolate brown micro-fiber allows for heavy use. Made in America. Regular $3999.00 ON SALE JUST $2499- PLUS Nothing Down and No Interest for 6 months to qualified buyers. This has got to be the largest recliner available on the market. Built heavy duty with coil springs this chair will hold the big, tall guys up to 450 lbs. Available in a large selection of fabrics and colors. 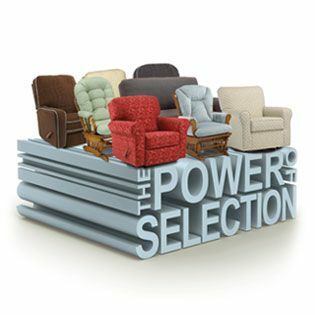 Grandview Estates has one of the largest selections of recliners in the area. 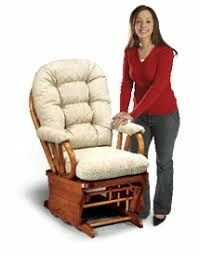 Electric Recliners with power headrests and power lumbar, Wall Hugger Recliners, Rocker Recliners, Lift Recliners, Swivel Rocker Recliners. Many of these recliners can be ordered in over 200 covers and fabrics. It's all at Grandview Estates with FREE local delivery!